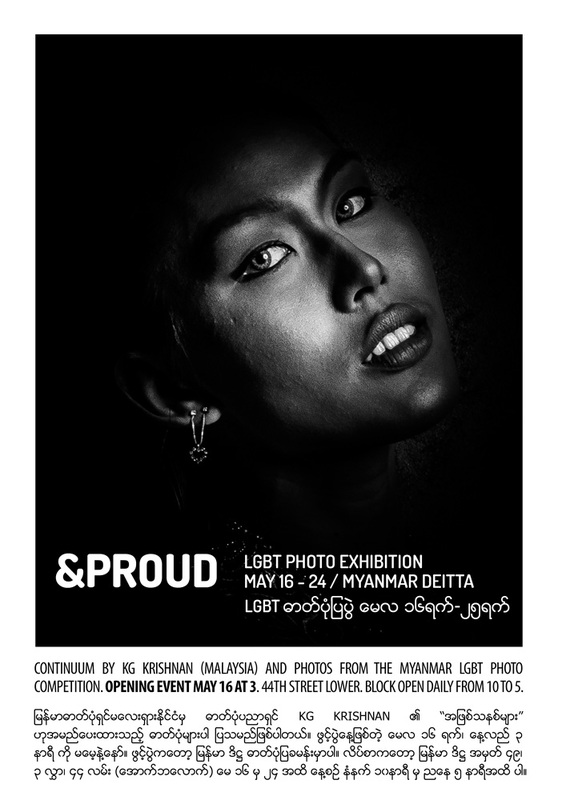 Myanmar’s second LGBT photography competition. Five series and seven individual photos were submitted and shown at Myanmar Deitta Galery in Yangon May 2015. With support from Document Our History Now, the Myanmar LGBT advocacy organisation Colors Rainbow collaborated with YG Events (led by Jan Willem van Rooij, organiser of the monthly FAB LGBT party in Yangon) to organise the second LGBT photo competition in connection with IDAHOT (the International Day Against Homo- and Transphobia) in May 2015.